Versatile, contemporary armchair inspired by the original Eames design with a durable polypropylene ..
Versatile, contemporary side chair in teal inspired by the original Charles Jacob design with a dura..
Versatile, contemporary side chair in white inspired by the original Charles Jacob design with a dur..
Reproduction Cherner Side Chair adhering to the original specifications and construction materials.D.. This new release clear acrylic Eames-inspired side chair features chrome steel legs that add an indu..
Sleek designer chair made from steel and wood inspired by the Copine Sean Dix Chair. 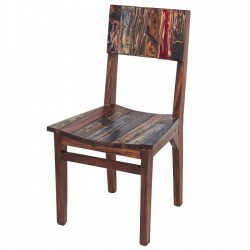 The plywood sea..
Offer extra seating in your formal dining set at special family gatherings with the Dynasty upholste.. The Dynasty High Back Dining Chair by Joseph Allen captures the grandiose style of castle dining roo.. The Eames style arm chair is inspired by the eclectic designs of Charles Ormond Eames. It is an inje..